Recently I’ve been more or less focused in astrophotography on comet Q2 Lovejoy, but occasionally, some other celestial objects captured my attention. I’m posting now a few images of deep-sky or planetary objects, some of low quality, while others not so poor perhaps. 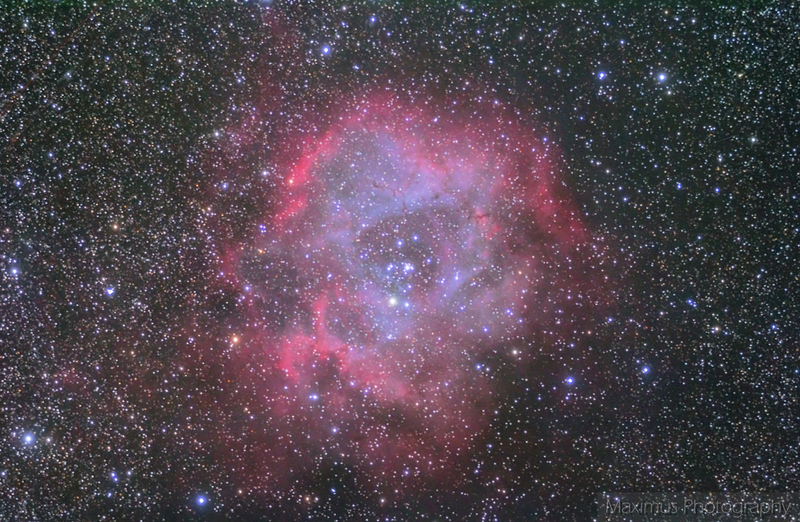 I’m starting with a rather difficult (at least for processing) object, called the Rosette Nebula, in the constellation of Monoceros. 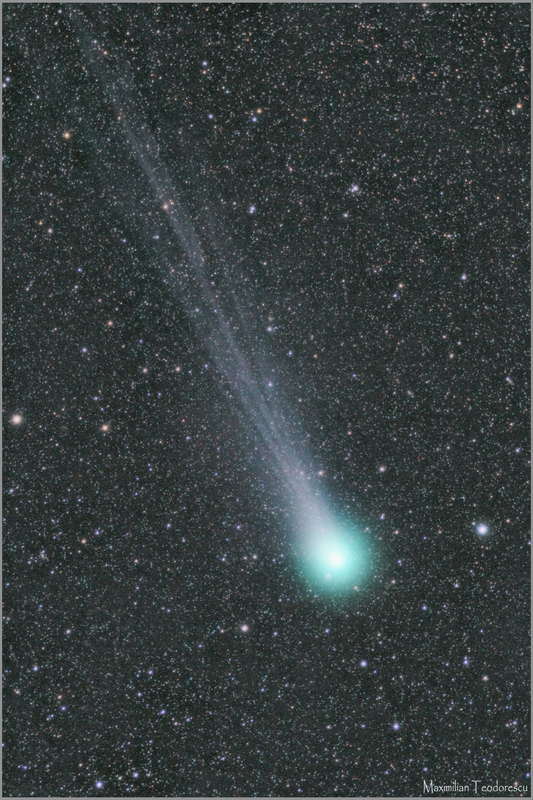 The following image was processed from frames acquired on the night of February 13th 2015, after imaging comet Lovejoy. The imaging location was Cota 1000 near Sinaia. Unfortunately I had some serious problems with the tracking on my mount, and all the frames were almost unusable. 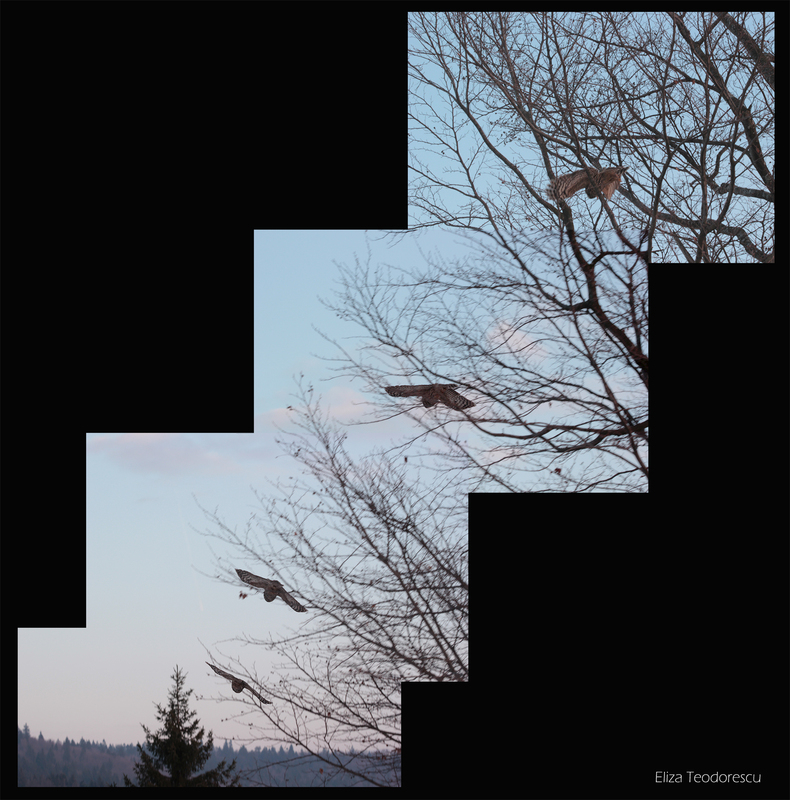 Still, processing those very poor frames proved to be a hard exercise, so the end result is quite a fulfillment for me. 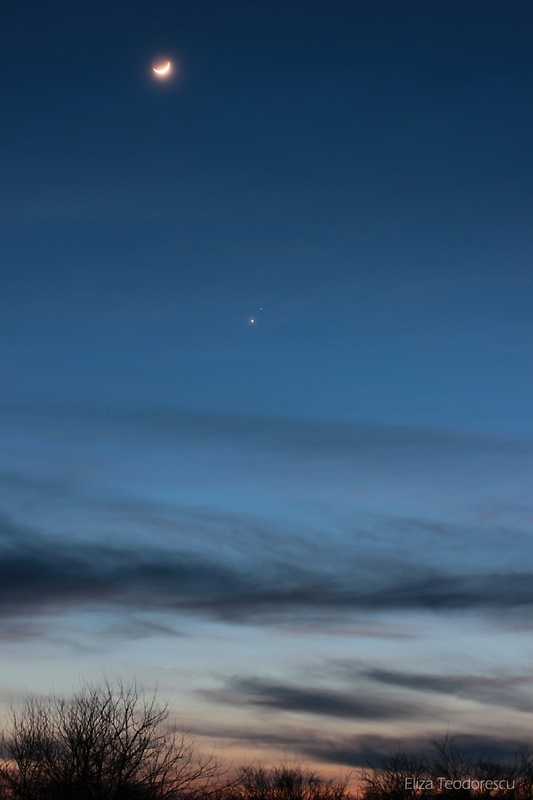 And lastly, the greatest disappointment I had in recent years: planet Jupiter with my new 355mm F/5 modified Newtonian. After a lovely sunny day, I’ve traveled together with my wife a few miles south of our home, to hopefully catch a view of the Venus-Mars-Moon conjunction. We’ve installed our equipment in a field, and waited for the sunset. 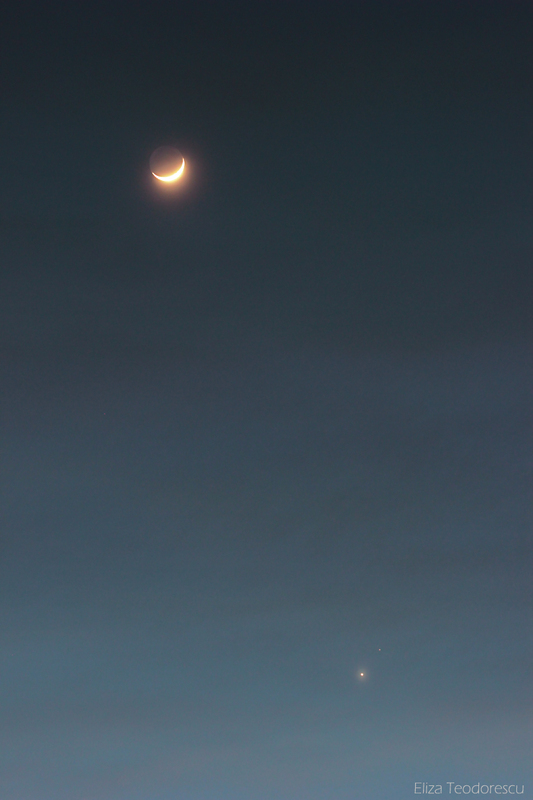 At first, we thought that the cirrus front rolling in would ruin our view of the conjunction, but eventually, the spaces between the clouds allowed for some photographs to be acquired.The following two shots, made by my wife, show the entire conjunction, with the Moon included. Not little was our surprise when we saw in the pictures an elliptical halo around Venus. 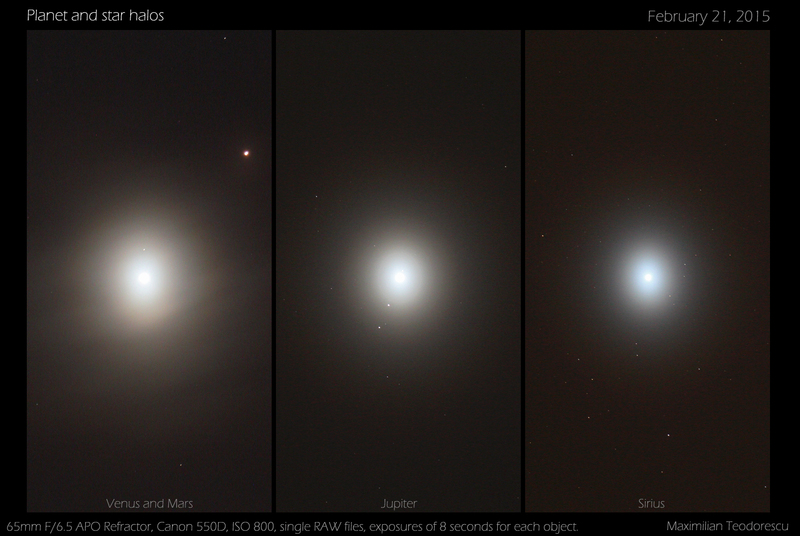 During recent years, I did see coronas around Venus, and small halos, but never an elliptical halo. 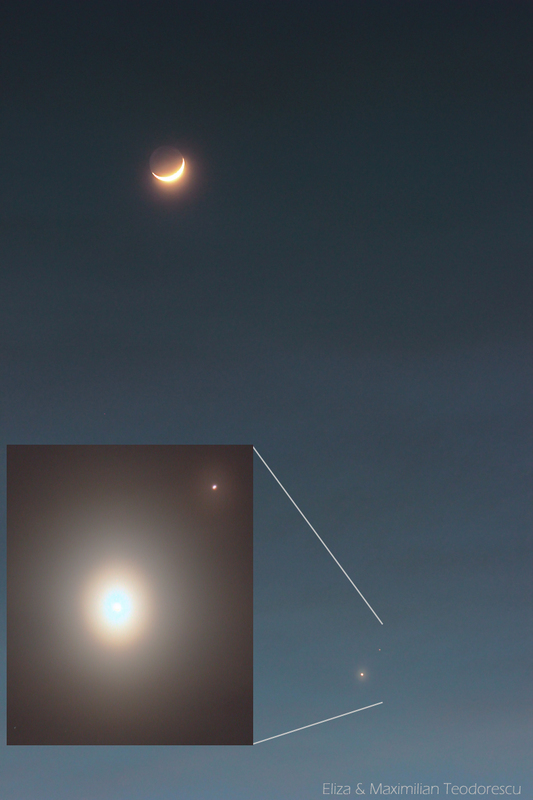 The following image shows the halos around Venus and Mars in a High Dynamic Range image, made out of three frames with different exposures. Notice the colors. 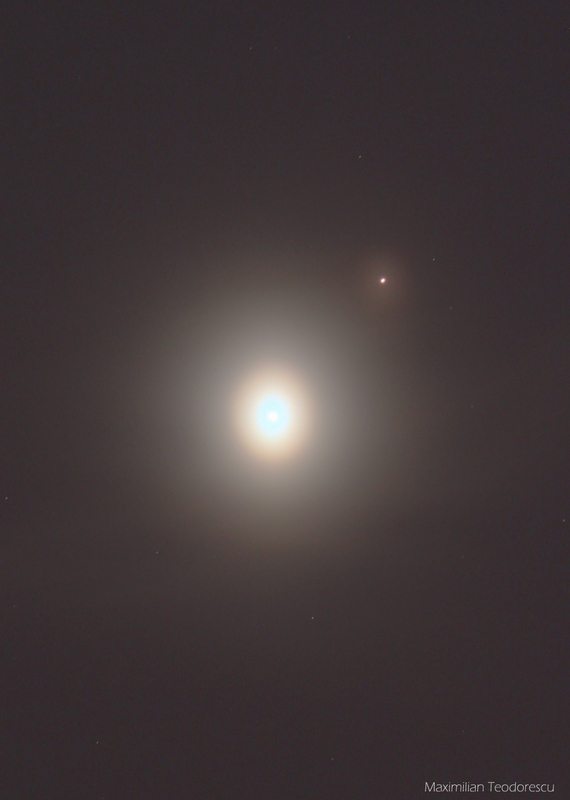 I’ve switched afterwards to Jupiter and Sirius, and found them both surrounded by the same type of elongated halos. 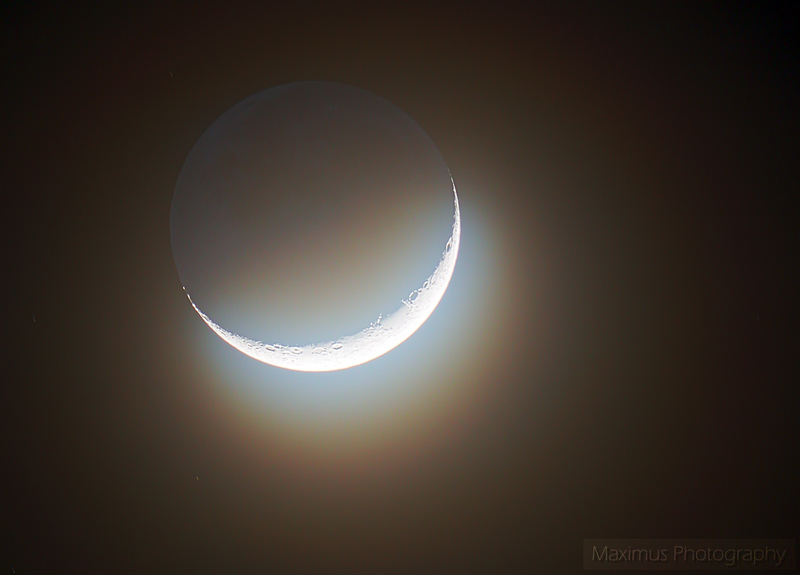 This added quite a bit to the show, despite the phenomenon being very hard to see with the naked eye; only around Venus the halo was clear, but small. My shots were done with the TS 65mm APO Refractor at 420mm focal length and Canon 550D at ISO 800, while my wife used 50mm and 100mm lenses with a Canon 550D. 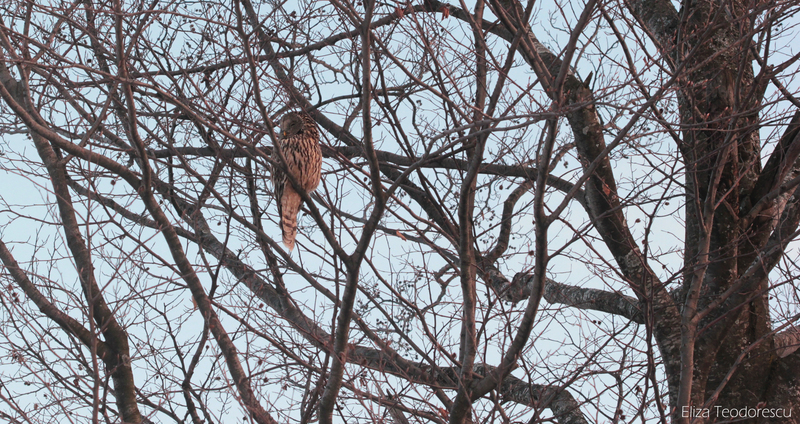 While on a short trip to Cota 1000 (Sinaia) for imaging comet Lovejoy, I’ve also had the chance of observing and photographing a rather rare nocturnal bird of prey: Strix uralensis, or as it is known in Romania, “Huhurezul mare”. 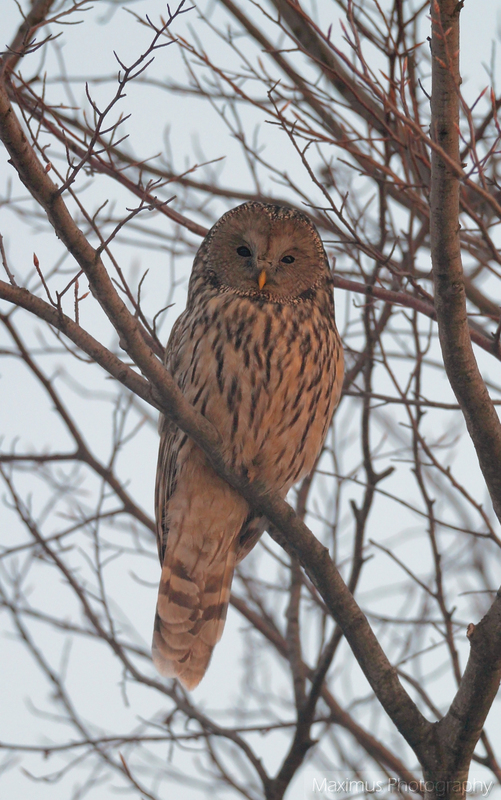 It was my wife who first saw it on a branch, in a tree thirty meters away. 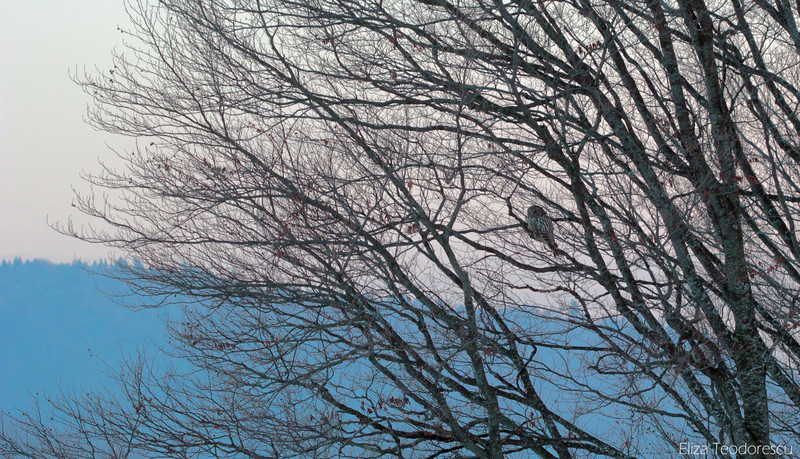 Since I had the small 65mm Refractor in my hands, preparing to place it onto the equatorial mount for some astrophotography, I’ve also grabbed the Canon camera, and climbed the small hill where the bird’s tree was. So, the following are some shots taken with the handheld TS APO 65Q F/6.5 (420mm focal length) Refractor and Canon 550D at ISO 800. 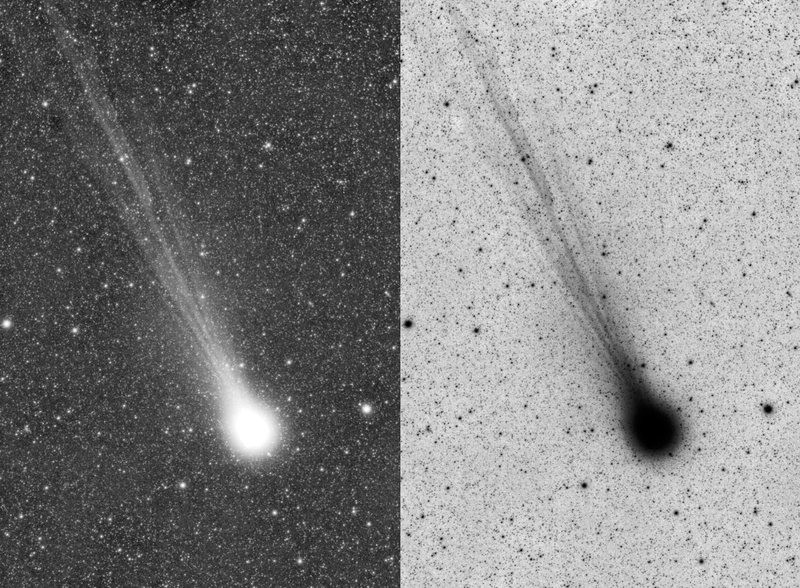 One more imaging run with comet Q2 Lovejoy. 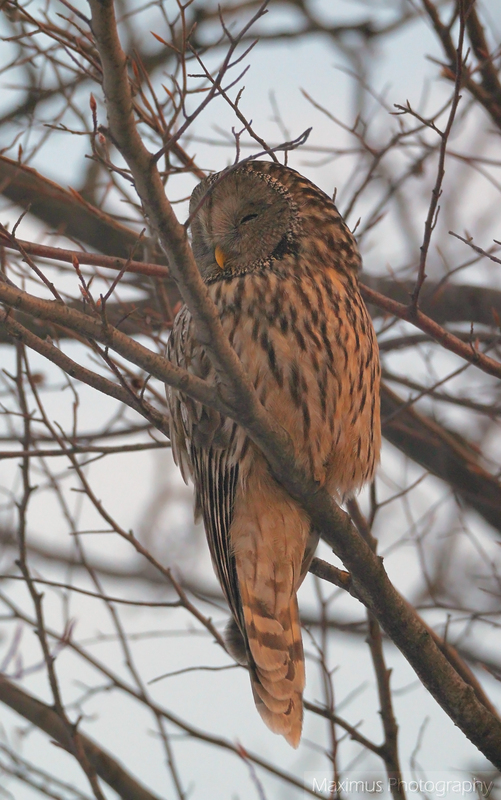 Again under the darker skies of the Comana Woods, with Claudiu and his 60mm hand-held refractor. I’m mentioning his instrument because on this occasion we did a very small Messier tour at 15x, and this due to two hours of rather dark skies, before some fog rolled over us. The first object I’ve started to shoot was the comet itself. As in most of my latest imaging sessions, the main instrument used was the 65mm TS APO Refractor (F/6.5) coupled with the Canon 550D DSLR at ISO3200. This time no guiding via PHD was done, only the NEQ6-mount’s 3-Star alignment method was used. 12 frames each a 4 minute exposure were stacked. The tail is still there but it’s a bit dimmer, while the coma is somehow smaller compared to just a few nights ago. 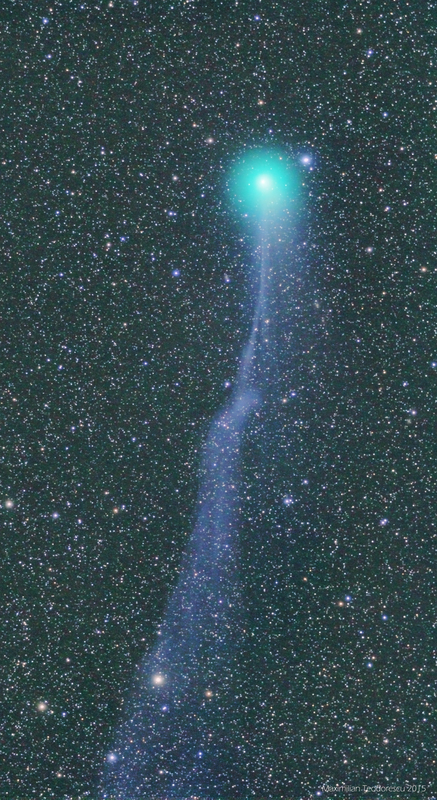 These might be the last days to catch the comet’s tail visually in telescopes, and easy enough in photographs. 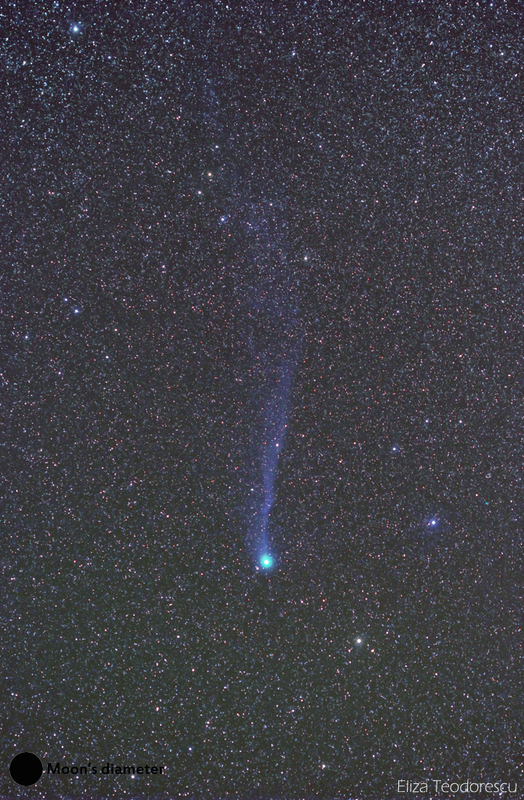 The comet was very difficult to spot with the naked eye, despite the rather good conditions. I think a good visual magnitude estimation would be around +5.5. 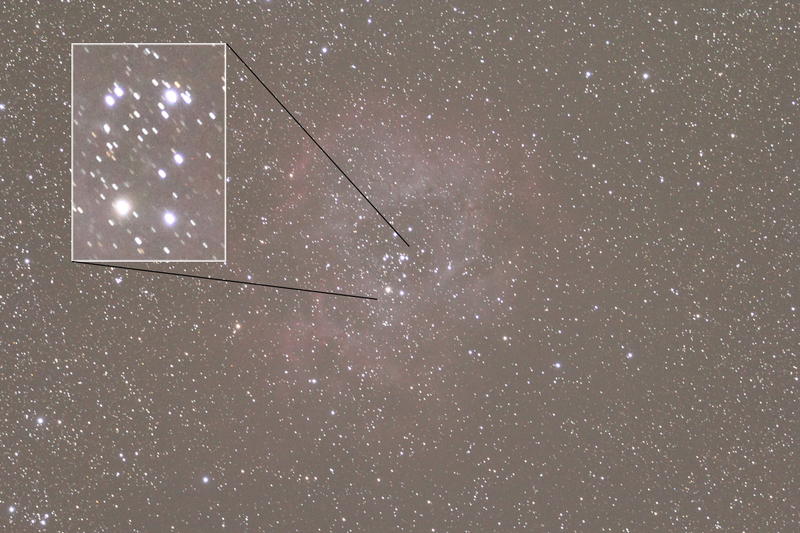 While we were observing some Deep-Sky objects with Claudiu’s small refractor, we found the two open star clusters near Sirius, namely Messier 46 and 47. Looking through the refractor, M 47 was easily the brightest, while M 46 looked like a ghostly patch of light very close to M 47, with some stars resolved with adverted vision. 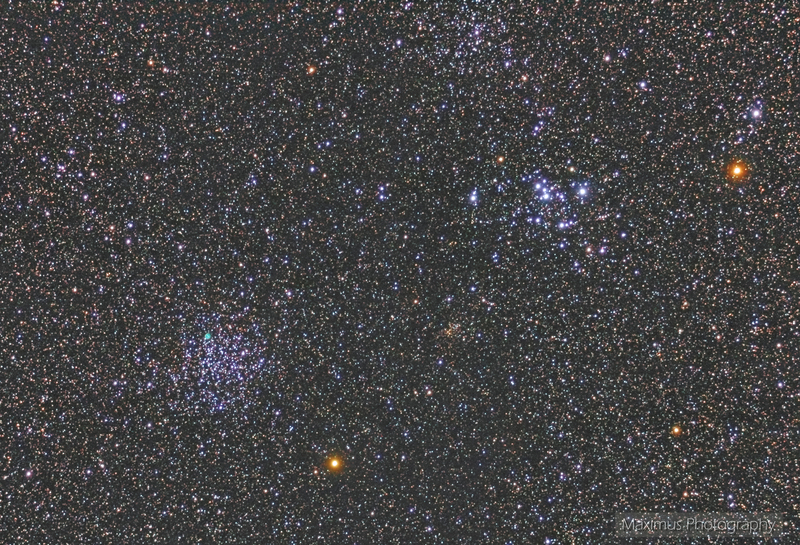 The following image is a 14-frame stack, each a 2 minute exposure. 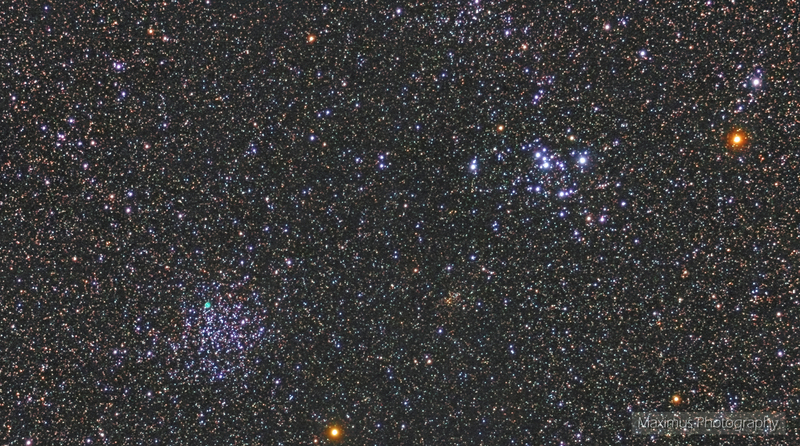 There are other objects in the same field, like planetary nebula NGC4238 in M 47 (the greenish round disc) and a much smaller open cluster just between M 46 and M 47, with the NGC catalog number 2425. 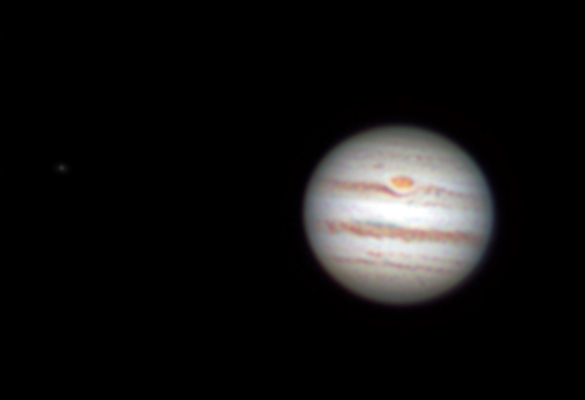 Our last celestial target of the session was planet Jupiter through a 127mm Maksutov telescope. It was this scope’s first light, and, of course, the seeing conditions were awful. The final image is an RGB one, with 800 frames acquired for each channel. The camera was a DMK 21 with Baader CCD RGB filters. The F/D ratio was around 25. The Great Red Spot is very easily discernable, as are some inner details. I’ve ended the previous post with a promise that I shall reprocess the images from the night of February 13th showing comet Lovejoy with a plasma “blob”. The final image is a stack of 8 frames, each a 5 minute exposure at ISO 3200 with a 65mm F/6.5 TS APO Refractor and Canon 550D, all on a NEQ6 mount, guided via PHD software with a DSI I camera and 50mm finderscope. 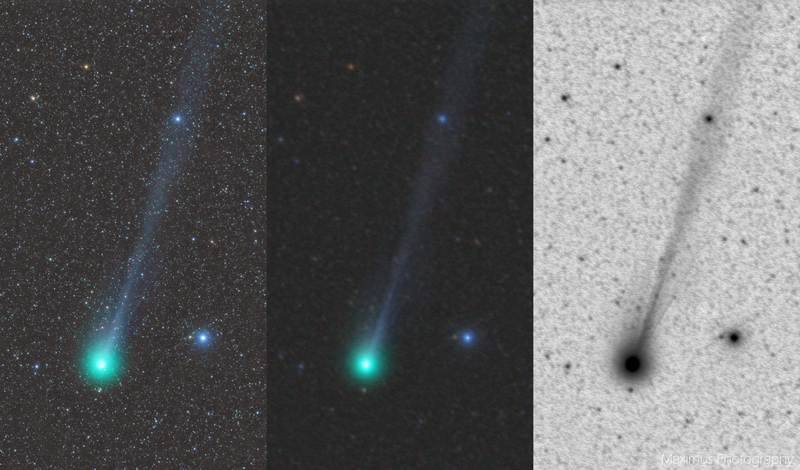 And since in an image presenting a comet the most interesting detail is the tail, I’ve assembled a sequence showing different processing modes, some showing finer details (like jets) in the tail. The first image is the original-colored version, while the second and third ones are grayscale and inverted versions respectively. The fourth and fifth were processed without stars, which makes possible for the finest details in the tail to become visible. While still in the processing steps, I’ve observed that there are a lot of small galaxies in the same field as the comet, so I’ve decided to create an identification image, showing a galaxy chain of around 18 such objects, some reaching magnitude +17(! 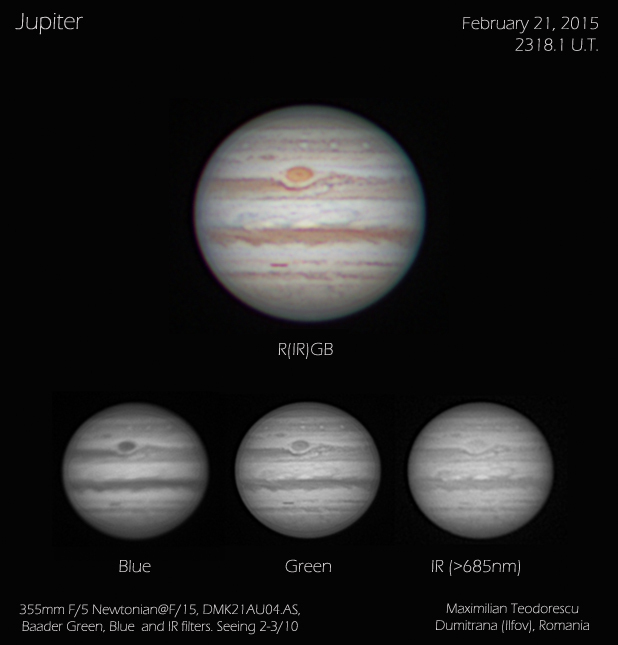 ), which is not bad for a 65mm instrument in the acquisition conditions that I had (mag. +5.5 sky, light pollution, humidity, high ISO setting, only 8 frames…). 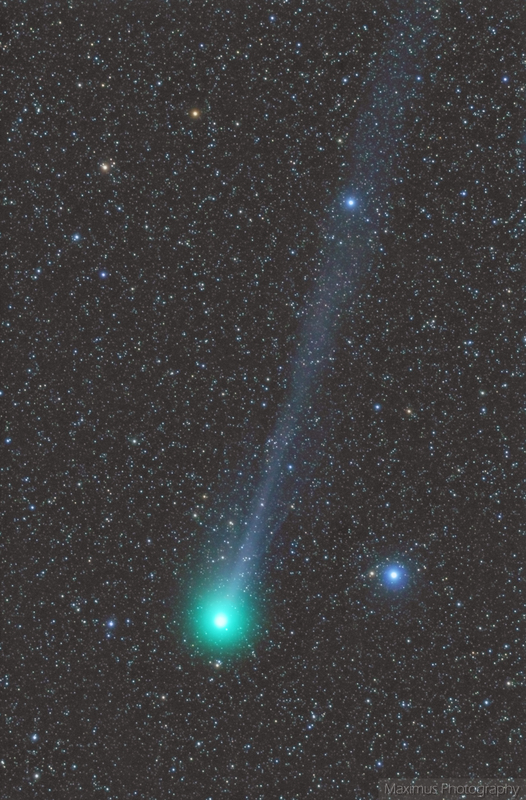 Looking forward for clear skies, to capture once again this dynamic comet. 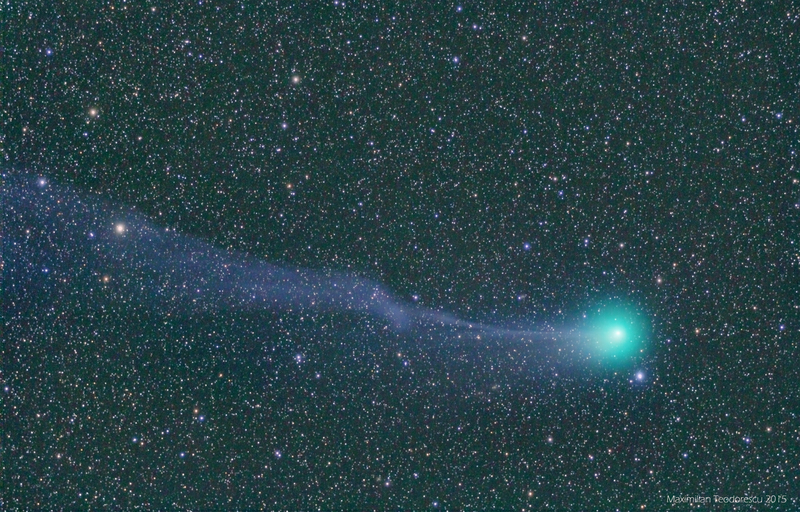 Two night of imaging comet Lovejoy from what I was hoping that it will be a dark sky location. Together with my wife, her brother and her parents, we went to Cota 1000 near Sinaia at 1000 meters, one of my favorite locations for deep-sky imaging due mostly to the ease of access and short trip duration. Unfortunately, this year all of the trips at this location were not that successful due to high humidity and light pollution, which might mean that I have to find another location in the coming years. 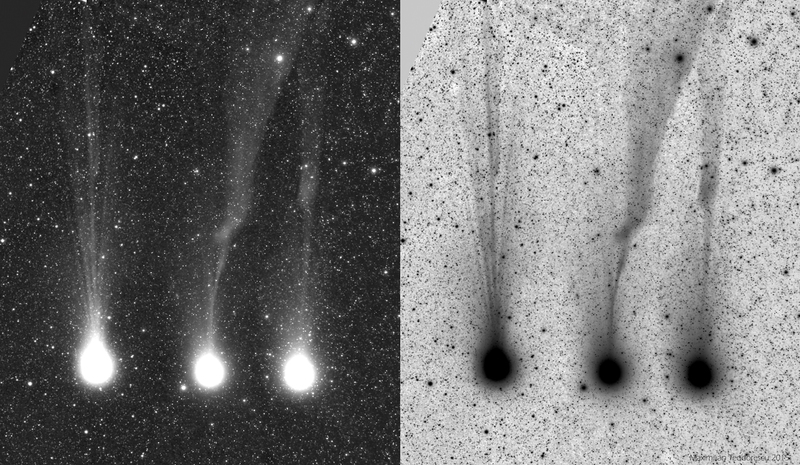 Nevertheless, these two trips resulted in two new observations of comet Lovejoy, and this time with some action: a large plasma “blob” detached from the nucleus in the first day (February 13) making the comet’s tail easily visible in 15×80 binoculars under mag. 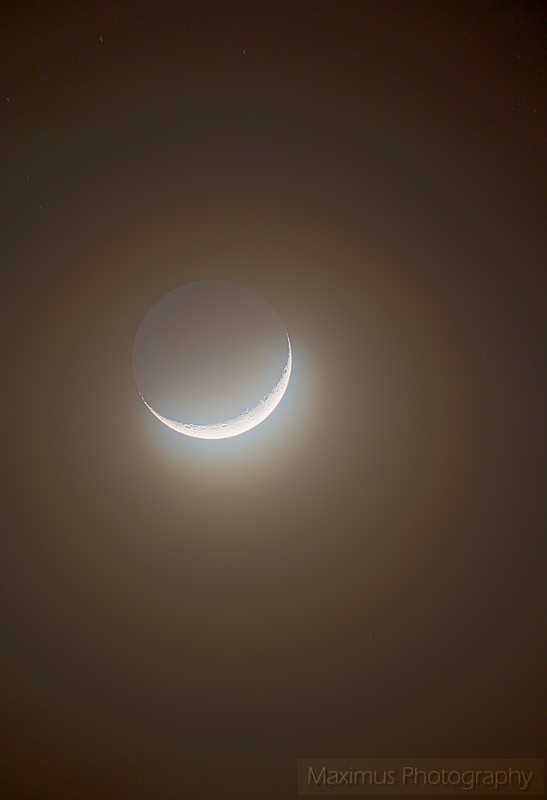 +5.5 skies, while the next night the tail was almost completely invisible. The comet’s head was visible barely with the naked eye on both nights, and we’ve estimated the visual magnitude around +5.3. The following are some of the first processed images done by my wife and I, and other processing updates will be published soon. My wife used a Canon 100mm lens on a Canon 550D at ISO1600, and 4 minutes exposures, while my equipment was the TS APO 65Q Refractor at F/6.5 also with a Canon 550D at ISO3200. The exposures in my case were between 4 and 5 minutes and for the first night I’ve acquired only 8 frames (due to some problems with the mount), while the second night I’ve acquired 15 frames. 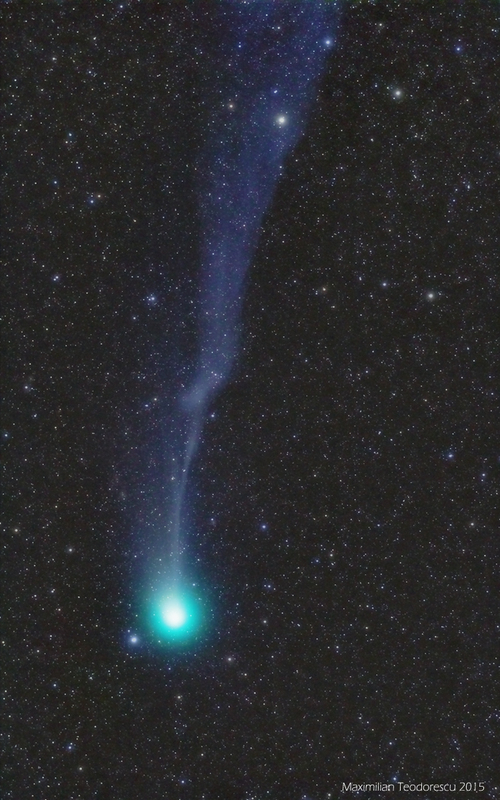 Now I’m working on a new version of the February 13th image, trying to get the best out of the comet’s tail. After a rather long period with clouds, and Moon-illuminated skies, I’ve finally got another chance at imaging comet C/2014 Q2 Lovejoy together with Claudiu, from the darker skies of the Comana Woods. Since my last observation, the comet has faded quite a bit, being still visible with the naked eye but just barely under Mag. +5.5 skies. The coma has decreased it’s size, and the tail is much less conspicuous both visually and photographically. 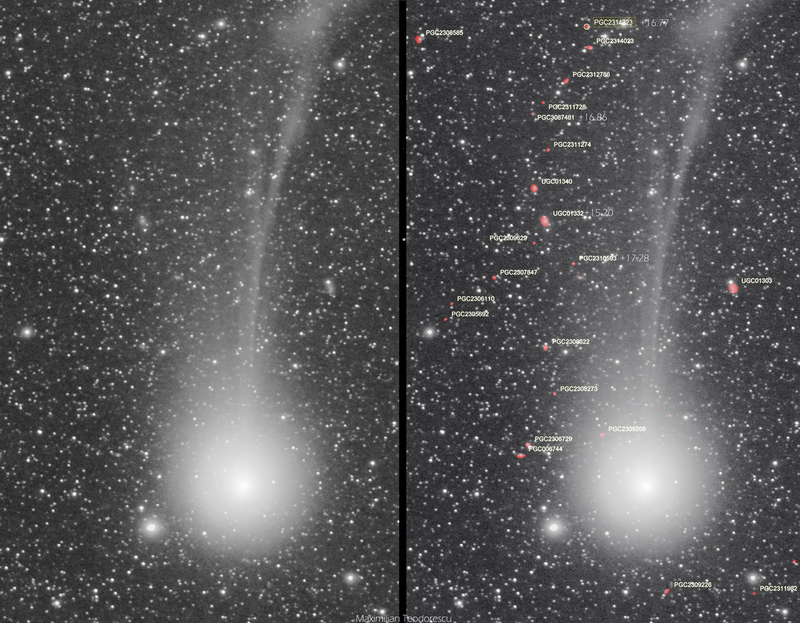 The good part is that the comet’s apparent movement among the stars also decreased, which makes now possible for longer exposures to be acquired, without the comet moving too much in relation with the stars; in this way one can shoot both comet and background stars and galaxies at the same time. This is how the following image was done, using the 65mm TS APO65Q Refractor at F/6.5 and Canon 550D at ISO 3200 with an exposure time of 5 minutes for each of the 7 frames stacked. 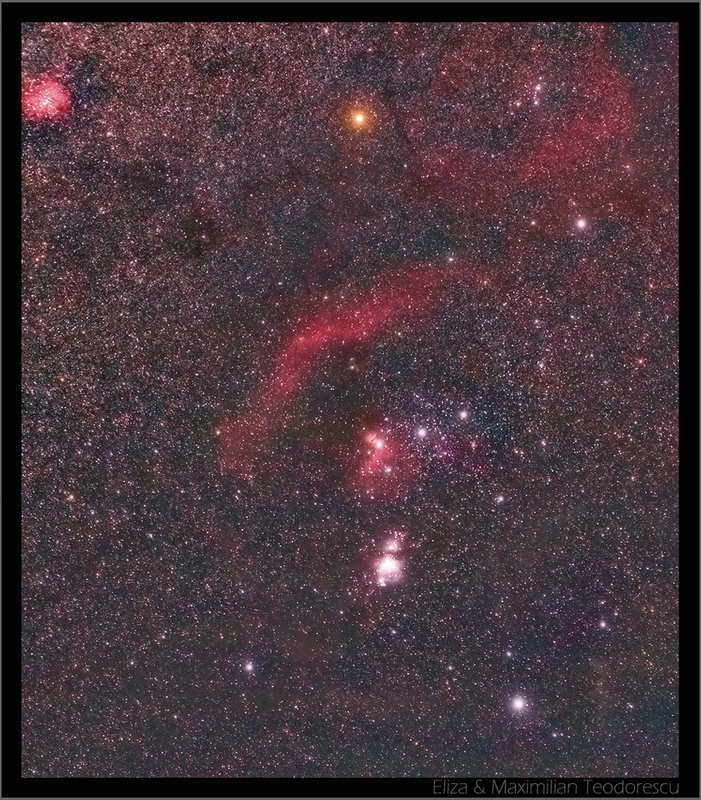 The setup was autoguided via the PHD software and a Meade DSI I camera and 50mm finderscope.